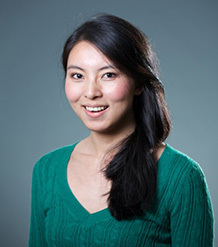 Dr. Jingnan Chen joined the Business School in September 2014 as Lecturer in Economics from the Interdisciplinary Center for Economic Science (ICES) at George Mason University, where she earned her doctoral degree. Deception is part of many important economic interactions, for example, insurance claims, job interviews, labor negotiations, regulatory hearing, and tax compliance. In those settings, people may increase their expected material gain by providing information that they believe to be false, a behavior predicted by standard economic theory. Yet, life experience as well as recent academic literatures shows that sometimes people do tell the truth at a cost to self. This stands in contrast to standard economic theory predictions. To better understand these behaviors, my current research focuses on deception and commitment within the context of free-style communication, and contribute to our understanding of deception and promises (e.g.Gneezy (2005), Charness and Dufwenberg (2006), Gibson et al.(2013)). My research combines experimental methodology, game theory and insights from psychology and sociology. With those tools, I am able to further my understanding of pro-social behaviors (particularly deception and promises). My research involves testing implications of relevant behavioral theories, devising mechanism to foster pro-social behaviors, and identifying the limits of such mechanism. Previous research indicates that cheap-talk promises promote cooperation. We extend the empirical study of promises to a three person environment. Doing this enabled us to study two features of promises in the naturally occurring world that have not been studied in the previous literature. For one, we are able to determine the impact of “contingent” promises, which refers to promises that need to be kept (or broken) only in the event that another event first occurs. Second, we were able to study “promise chains”, by which we mean a set of sequentially-made promises. In both cases, we are able to apply existing theories to these novel environments to predict promise keeping behavior. Consistent with theory predictions, we find that promises are not necessary, and do not change behavior, when incentives are aligned. When there is conflict of interest, and when a promise is definite (that is, not contingent), we find that people are indeed willing to forgo monetary payoff to keep their promises. However, when the promise is contingent, promises no longer promote cooperation: people are equally like to choose a selfish action regardless whether they made a promise. Finally, we find that promise chains do not promote trustworthiness, with people at the end of the chain no more likely to honor their promises than people at earlier positions, despite the additional indirect harm that people later in the chain cause by defecting. Our findings offer insights relevant for the behavioral economic theory of guilt aversion. Chen J, Houser D (2017). Promises and lies: can observers detect deception in written messages. Experimental Economics, 20(2), 396-419. © 2016, the Author(s). We design a laboratory experiment to examine predictions of trustworthiness in a novel three-person trust game. We investigate whether and why observers of the game can predict the trustworthiness of hand-written communications. Observers report their perception of the trustworthiness of messages, and make predictions about the senders’ behavior. Using observers’ decisions, we are able to classify messages as “promises” or “empty talk.” Drawing from substantial previous research, we hypothesize that certain factors influence whether a sender is likely to honor a message and/or whether an observer perceives the message as likely to behonored: the mention of money; the use of encompassing words; and message length. We find that observers have more trust in longer messages and “promises”; promises that mention money are significantly more likely to be broken; and observers trust equally in promises that do and do not mention money. Overall, observers perform slightly better than chance at predicting whether a message will be honored. We attribute this result to observers’ ability to distinguish promises from empty talk, and to trust promises more than empty talk. However, within each of these two categories, observers are unable to discern between messages that senders will honor from those that they will not. Chen J, Houser D, Montinari N, Piovesan M (2016). Beware of popular kids bearing gifts: a framed field experiment. Journal of Economic Behavior and Organization, 132, 104-120. © 2016 Elsevier B.V. The literature on pro-social behavior shows that older children are more generous than younger children; however, the level of individual generosity is heterogeneous even between children of the same age. This paper investigates whether a child's popularity affects his/her generosity. Our participants – 231 children, six to twelve years old – decide how many of their four colored wristbands they want to share with another anonymous child. We manipulate the visibility of this decision: in treatment Public, the decisions are revealed to the entire class at the end of the game, whereas in treatment Private children's decisions remain secret. In addition, we elicited each child's network of friends using an innovative “seating map” mechanism. Our results reveal that more popular children are more generous in Public than Private decision environments, while less popular children behave similarly in both cases. Moreover, older children in Public display greater generosity than (i) older children in Private and (ii) younger children in either Public or Private. Finally, in Public, older and more popular children share more than less popular older children, and more than younger children regardless of popularity; whereas, in Private there is no effect of popularity on children of any age. Our findings point to another reason to adopt transparent decision making in teams and organizations: it may promote the generosity of some (perhaps especially popular leaders) without detrimentally impacting the pro-sociality of others. Chen J, Houser D (2012). Non-human Primate Studies Inform the Foundation of Fair and Just Human Institutions. Social Justice Research, 25(3), 277-297. Chen J, Houser D, Christie A (2014). Ethics and Advances in Economic Science: the Role of Two Norms. In DeMartino G, McCloskey D (Eds.) The Handbook of Professional Economic Ethics, Oxford University Press. Chen J, Houser D (2014). Broken Contracts and Hidden Partnerships: Theory and Experiment. Previous research indicates that unenforceable informal contracts (or commit- ments) promote trust and reciprocity. Nonetheless, while such contracts may benefit existing exchange, in dynamic environments they may also hinder ones willingness to explore newly emerging Pareto efficient opportunities. This issue arises in both business and social contexts, and includes industry non-compete agreements as well as personal relationship commitment decisions. We report data from an experiment using a novel three-person trust game where, in differ- ent treatments, different players are able to communicate with each other. We find that when, between the point of commitment and the point of decision, no new information is received regarding the expected value of commitment, then people overwhelmingly decide in accord with their informal contracts and avoid exploring potentially Pareto improving opportunities. However, when new in- formation arises that reduces the relative value of commitment, and when this occurs following the commitment but before the decision, then people are signif- icantly more likely to deviate from their informal contract and pursue a Pareto improvement. Further, we observe a contingency effect where the likelihood with which people follow an informal commitment declines with the number of contin- gencies that must occur in order for the contract to be realized. Finally, none of the theories of lying aversion that we explore are able fully to explain our data.